Can humans see infrared? With a special diet they can! A typical human eye can detect light in a wavelength range of 380 to 700nm. As is well known freshwater fish are able to see in the near infrared range (NIR), by transforming Vitamin A2 into the visual pigment porphyropsin (or something along those lines). Science for the Masses, a group of individuals dedicated to open source science, wanted to conduct an experiment to prove that humans can also obtain NIR vision, by limiting Vitamin A1 consumption and instead supplementing their diet with Vitamin A2. In October last year the group applied on Experiment, a crowd-funding platform for scientists and researchers, to obtain the necessary financial resources. The experiment began two weeks ago and is already delivering its first results. As the picture shows, these initial results are promising indeed. 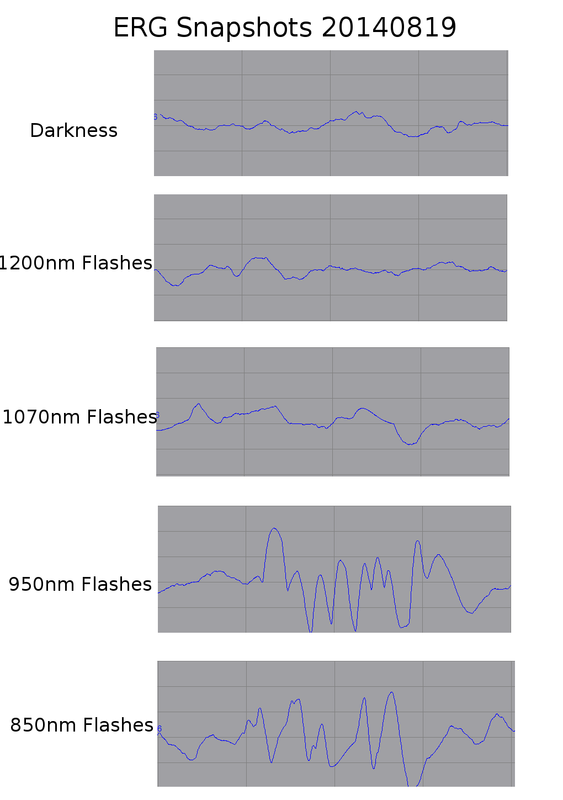 The eyes of the experimental subjects have reacted to the light of LEDs with a wavelength of 950nm. The team wants to break the 1070nm barrier in the following weeks. It will be interesting to see just how far the sensitivity of the human eye can be increased by diet alone.